Top designers enjoy celebrity status in Scandinavian culture, and no wonder--their creations have invaded almost every living space within reach of an IKEA. But the region's old emphasis on plain colors and molded wood are long gone. 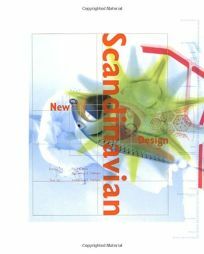 As this ambitious survey of Scandinavian design affirms, a new generation of artisans has updated the region's iconic 1950s modernist creations with playful color, technological savvy and pluralistic openness to ideas. The reason these traits exert such an overwhelming influence on the international design market, Nelson argues, is that they give form to the core values of ""comfortable living and social equality,"" without shying away from gentle subversion and conceptual envelope-pushing. Through pictures and exposition, the design journalist explains how conceptual pieces, from chairs and vases to tables and lamps, give voice to ""Scandinavian cultural and artistic ideals."" Primary among these, Nelson suggests, are democracy, honesty, poetry, innovation and craft. Nelson also includes interviews with each country's top designers and curators, elucidating the forces that stoke their creativity and propel their designs to paragon status in international markets. Color-saturated layouts--plus the studio-chic plastic book cover--mirror the brightness and whimsy of the design objects themselves, and the book contains more than 400 photos of cutting-edge designs in furniture, housewares, textiles and electronics. All in all, Nelson effectively parses a design culture that uses the past as springboard and the ever-changing present as inspiration.